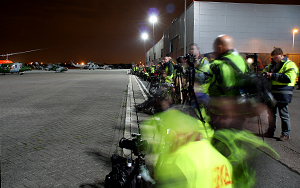 Nightshoots are fast becoming an aviation photographers best friend during the Airshow off season. 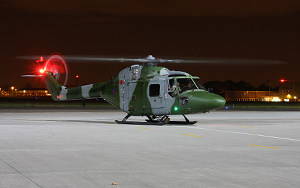 The Nighshoot at RAF Northolt, organised by Phillip Dawe and his team is probably the longest running and most well established of them all. 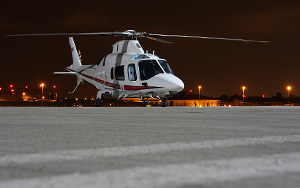 Phil and his team bring together as many aircraft and helicopters as they can for each shoot. At £20 a ticket it is great value for money as it brings the chance to photograph the aircraft in a unique environment. The proceeds are going to the restoration of the Battle Of Britain Ops room at Northolt. Phil is now on nightshoot no.13 and tries to bring different types to each shoot. 13 was held on Thursday 18th October. 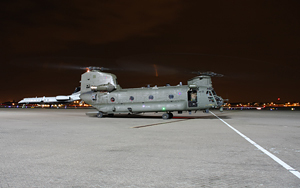 The star for me was an RAF Chinook, on nightime ops. Although only on the ground for a few minutes it was great to see the RAF at work. 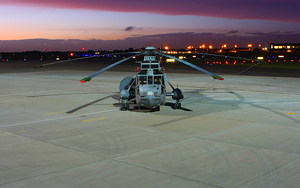 The lighting on the’pan’ at Northolt is brilliant and makes for some great shots. 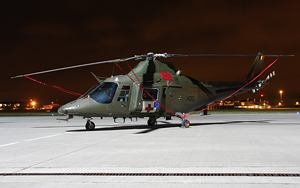 Also flying in, in the dark was an Army Air Corp Lynx and Gazelle. It was great to see the Gazelle, a type not now in use too much with the army. 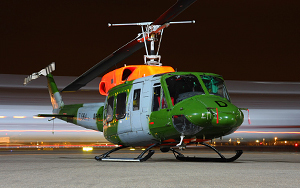 Other types included a Belgian A109 Med vac set-up, a Bell HS212, Sea King ASAc7 and the Royal Flights Augusta A109. 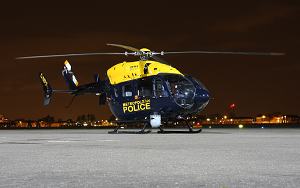 The Metropolitan Police EC145 also made an appearance later in the evening. 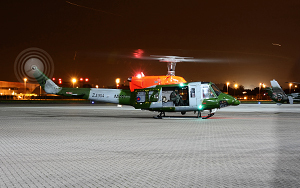 All but the Seaking and Royal Flight A109 had their rotors turning at some point during the evening. The RAF Regiment also brought along one of their Ridgeback armoured vehicles to be photographed. This was joined by a 1940’s Willys jeep and another unknown vehicle. The evening had a nice relaxing atmosphere and there was plenty of room for everyone to get their shots in. There was food and drink available in the terminal building so no one went hungry!!! A big thanks to Phillip Dawe and his team and all the aircrew that took part. 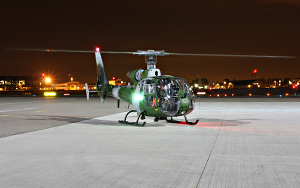 Its great that the proceeds from these nightshoots are going towards preserving a huge part of our RAF history….